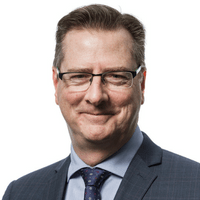 Rob is the President of Civil Nuclear at Rolls-Royce, a global nuclear services business with capabilities situated in the UK, France, US and Canada and regional offices in the Czech Republic and China. During Rob’s 30 years in the nuclear industry, he has been proud to work for organisations that provide nationally important, high integrity products and services: the UK Atomic Energy Authority; the Atomic Weapons Establishment (AWE); and Rolls-Royce. He has gained a broad set of skills and experiences including: nuclear and explosive site operations; crisis management; structuring and negotiating multi-billion pound contracts; leading large complex integrated programmes; whole business transformation; and leading a plc Board. In addition, Rob has gained significant experience working with shareholders, senior stakeholders from the UK and US Governments, UK industry and UK regulators. Some of the highlights have been; the provision of nuclear warhead “super-containers” to Russia, and supporting UK counter-terrorism operations, including support to Government ministers at the Cabinet Office Briefing Room (COBR). Rob left AWE having been its Acting Managing Director and joined Rolls-Royce in July 2015 to strengthen and grow its nuclear businesses. Rob has an honours degree in Chemical Engineering, a Masters Degree in Business Administration, a Diploma in Company Direction from the Institute of Directors and is a Chartered Engineer. Rob is married to Hayley, who works at AWE as the Group Leader Nuclear Material Operations; they have three children. Rob enjoys travelling with his family, skiing, photography and classic motorcycles.